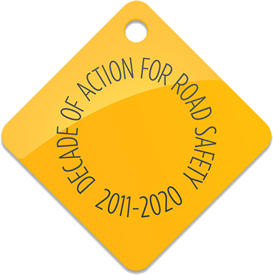 Road Safety Audits (RSA) began in the late 1980s and audits of trunk road and motorway schemes have been mandatory since 1991. Many local authorities also carry out such design-independent audits using the trunk road standard contained in the Design Manual for Roads and Bridges HD 19/03 (DfT 2003) or the guidance given in the IHT document Road Safety Audit (IHT 2008). Practical Road Safety Auditing – 2nd Edition (TMS 2008) also provides helpful advice on the basics of RSA practice. One and three years after opening. Good highway and traffic engineering practice separates safety auditing and user auditing. The latter focuses on improving infrastructure provision for sustainable modes in order to encourage modal shift. However, it is good practice for safety auditors to take a multi-modal approach to the process, giving special attention to safety implications for vulnerable road users such as equestrians, cyclists and pedestrians. Motorcyclists sometimes suffer a lower profile in this ‘vulnerable user’ category because their higher speeds may lead auditors to put them into the same category as twin-track motor vehicles. This is a serious misunderstanding. The dynamics of motorcycles and vulnerability of their riders make motorcycling a unique mode within the traffic mix which requires separate and informed consideration by designers and auditors. The safety auditor’s prime objective is to examine the safety of a new scheme from a holistic viewpoint. The auditor’s goal should be to seek an optimal balance of risk across all modes using experiential and empirical judgement to identify hazards, quantifying risks and estimating outcomes, both in terms of numbers and severity. This chapter does not present motorcycles as a special case but seeks to emphasise to RSA practitioners (with little or no experience of motorcycling) how the balance of risk significantly shifts between two wheels and four.